About | Lafayette Legacy Construction, Inc.
Lafayette Legacy Construction was founded in January of 2000 by Michael O’Brien. Since its inception, our company’s primary ambition has been to provide the highest quality craftsmanship and service in the Bay Area. Setting us apart is our focus on job detail, use of sustainable technologies where applicable, and the creation of strong client relationships. We have had the pleasure and skill to complete many projects in our community. While we specialize in high-end custom construction, our talented employees have experience performing all types of commercial, institutional, and private development endeavors. Our president, Michael O’Brien has well over two decades of construction experience. He and our project supervisor, Brian Catoire, have been given a rich heritage in construction, building and design. It was obvious that they shared the aspiration and know-how to accomplish a range of tasks, and so they have been working together since the early 90’s. It wasn’t long before a stream of projects and a variety of clients deepened their desires to formalize into a single corporation: Lafayette Legacy Construction. Not only do we want to construct beautiful projects but we choose construction methods and materials that are carefully placed and conceived to last. Without fail, our homes and projects are built with the reliability and stability often unmatched in this industry. It became a blessing in disguise that the economic downturn occurred as it forced us to reevaluate how we are building and educate ourselves on current trends and technologies. If we are to leave this world in better shape than the state in which we found it, cutting corners and using low end materials, which compromise the reliability of any construction, is far from the agenda. Therefore, several of our staff members have returned to school and are on their way to becoming LEED (Leadership in Energy Efficient Design) accredited professionals in order to acquire the knowledge and experience to not only build responsibly and dependably, but also maintain the integrity of the world around us, in our community and across the globe. The construction of high-end, LEED (Leadership in Energy Efficient Design) certified, properties that combine functionality and aesthetic beauty. The development and maintenance of long-term client relationships, and devoting a balanced portion of our business efforts towards philanthropic endeavors. Ensuring our clients realize the highest return available on their construction dollar by utilizing sustainable materials, properly trained personnel, and strengthened alliances with material vendors. Embracing the use of ERM (Enterprise Risk Management) throughout our business practices. 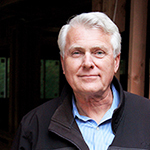 Our Founder, Mike O’Brien, is an expert in construction design, development and implementation. His leadership and entrepreneurial skills have led to the successful completion of a plethora of high quality building projects accentuating a strong dedication to community, environment, and mission based endeavors. It is Mike’s expertise and his ability to start, develop and maintain relationships that makes Lafayette Legacy Construction Inc. a unique and highly respected member of the East Bay community. Mike’s employment history covers an array of construction and engineering sciences. In 1990 he was the Director of Construction Engineering at H.G. Automotive in Concord, CA; and in 1994 became sole proprietor of his own company, O’Brien Construction, which he ran for 5+ years. He is currently owner and president of Lafayette Legacy Construction, Inc (a premier provider of design, development and construction services to both residential and commercial clients throughout the East Bay of San Francisco) which he founded in 2000. In addition to his 20+ years experience, Mike has a Certificate in Construction Management from the University of California, Berkeley and is in the process of securing his certification as a Green Associate in L.E.E.D. (Leadership in Energy Efficient Design).